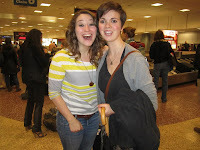 Well, it seems like forever since Hermana Myers took off on the plane from Moline on her way to Utah, to prepare to teach the gospel to those in Riverside California. I was fine as she walked off and went through security but since then many times a day I wonder what she is doing and how she is feeling, wishing only to be a fly on the wall and observe all that is happening. Hopefully sometime this week we will be getting an email or letter telling us about her first impressions and all her learning. While I have your ear, I would like to share a nice service found at Dear Elder. This is a site where they will print you letter and get it to her mailbox at the Mission Training Center in Provo Utah the next day or same day if before 12 PM Mountain Time. If using this service, please remember that until the beginning of May (5/8/13 is her approximate departure day) you need to scroll down to the Provo MTC even though for her mission you need to enter California Riverside. The service is free( to the MTC) and you can get a copy of your letter sent to your email. In the MTC Hermana Myers will have limited computer time so this will give her a printed copy she can read at anytime not just during her short computer time. Missionaries really appreciate letters that talk about things their parents are doing to further the Lord's work. One young Elder wrote home expressing his disappointment that his parents were not doing any type of missionary work themselves. 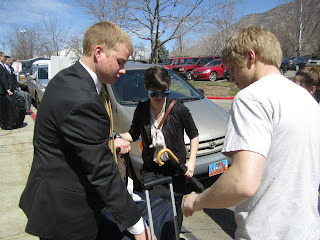 The next email he received from his parents told him about their missionary experiences. They had gone on exchanges with the missionaries, were doing better with their own home teaching and visiting teaching, and shared the joy they were feeling from their service. The smile the Elder had on his face when he read this was priceless. 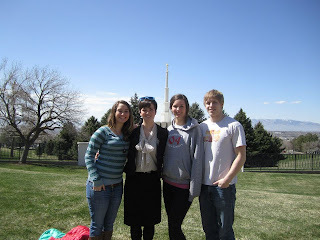 They like to know that missionary work is important to their parents. Some parents share scriptural insights with their missionaries in their letters. The missionaries really appreciate it, especially if it has to do with the topics in Preach My Gospel. They are teaching the gospel using their own words and understandings. Preach My Gospel has an excellent outline for them and scriptures and questions to support what they are teaching. But they are always looking for additional supporting scriptures, personal experiences and messages from the general authorities. Share something you learned at church. Share thoughts with them or brief outlines of talks given in sacrament meeting. These young elders and sisters prepare talks on topics the president gives them every zone conference. Two or three will be called on to give their talks. They don't know who it will be until the last minute. So they all prepare a talk every zone conference. Ideas you share with them about living the gospel will really help them. Share your testimony and your love for the gospel, and for them. Share spiritual experiences and answers to prayers with them. These are the things they are focused on during their mission. Those are the letters that mean the most. Letters don't need to have a lot of detail about things going on at home. Sometimes too much detail causes them to worry too much about home and to lose their focus. They are in the mission field to do missionary work. They dedicate 18 months or 2 years. They don't like getting anything that causes them to lose focus. One missionary received a lot of pictures from home. He loved them and I don't want to discourage sending pictures, but I smiled when I walked past his desk one day. On his bulletin board I saw a picture he received from home that was pinned on the board face-down. He wrote on the back, "Focus Elder". Help them to stay focused and encourage them to put their whole heart into the missionary work. They will have the most tremendous experiences if they do. They love receiving letters but generally one a week is very sufficient. Share a recipe with them. Something that takes few locally available ingredients, doesn't cost a lot to make, and doesn't take a lot of time, but, is nutritious and tasty. They love good recipes more than you can imagine. The missionaries love to receive an occasional package from home with some of their favorite treats, or a new tie (they get so tired of their old ties). I noticed the ones that received too many packages would tend to lose their focus a little. One of our office missionaries received a package for major holidays (2 a year) and for his birthday. That was all. Of course he received an email every week, which he looked forward to. When he received a package, he cherished it and everything in it. 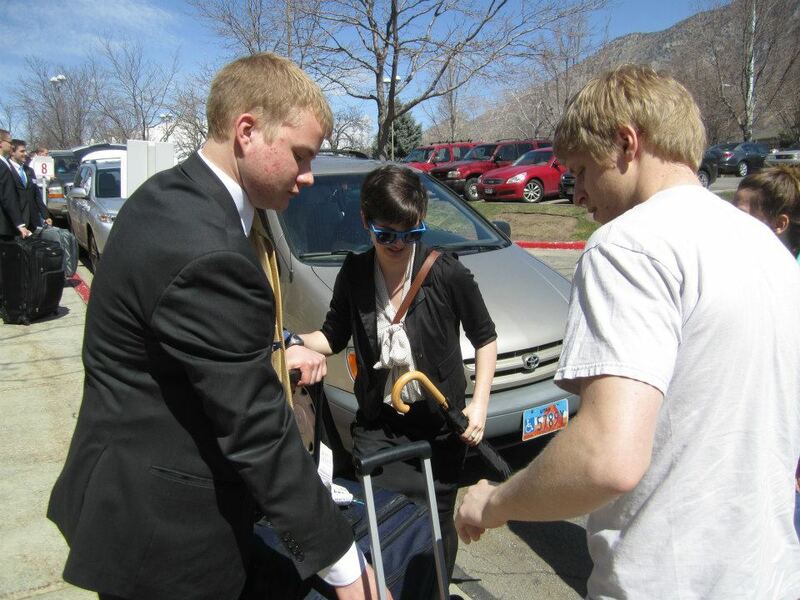 His family put a lot of thought into what to send him that would help him on his mission and mean the most to him. Those that received packages too often didn't seem to appreciate them as much. So thoughtfully prepare an occasional package, but don't send too many. Keep in mind when sending packages, that they have to fit everything into their suitcases when they are transferred and remember how tightly packed their suitcases were when they left. That means they really don't have room for any thing else unless they leave something behind. Little trinkets or toys are just not useful to them. Many of those things have to be either thrown away or left behind when they transfer. They love food generally, or an occasional tie. They do get really tired of their ties which is about the only thing they can change in their missionary attire. 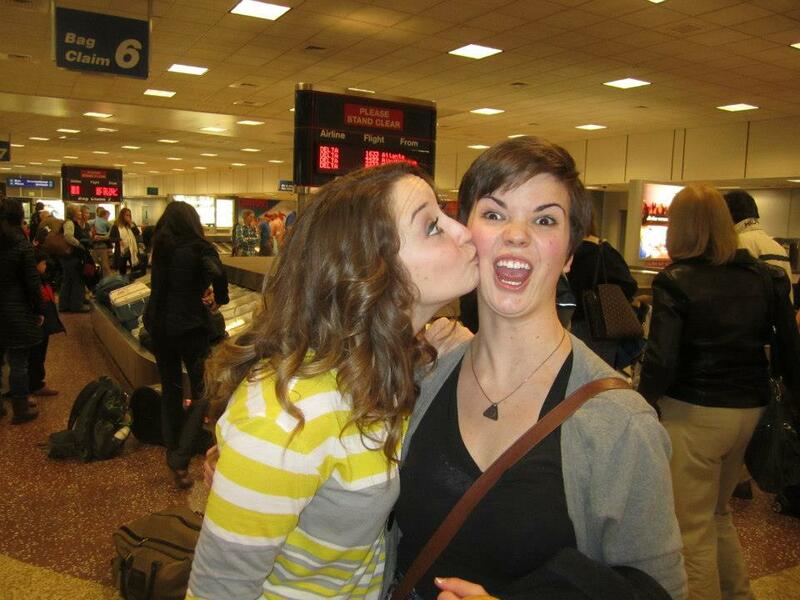 Missionaries trade ties, and sometimes they just lose them when they transfer. Packages sent via UPS usually end up at the mission office and can't be forwarded. So it is held there until someone goes to the area where your missionary lives. Sometimes packages are held in the office for a week or two before someone goes that way, and sometimes even longer, depending on how large the mission is. If you are sending cookies, they can get mighty stale by then. Sending your packages through the post office makes it possible to forward them, and they receive them shortly after they arrive to the mission office. Foreign missions will most likely be different. Follow the guidelines from the mission. If you have your missionary's address you can send packages and mail directly to them but be careful when it gets close to transfers. Your missionary might be transferred to a new area. 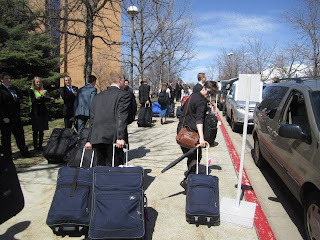 Occasionally missionaries are moved to a new area between transfers, too. So if you are sending medical supplies, always check with the mission office to make sure your missionary is still at that address. Sometimes it's better to talk with the mission office about sending any medical supplies. They will be able to find information you can't get otherwise. Never, ever talk about how many months, days or weeks they have left on their mission and especially about "hump" day (half way through their mission). You may keep track, but if your missionary is really focused on his/her mission and working hard, they don't keep track of it and don't want to be reminded. There is nothing that makes them lose their focus more or get "trunky" than to be reminded of how much time they have left. Our Mission President told the missionaries if they were asked by members how long they had been out they were to answer by saying, "less than a year" or "more than a year" and leave it at that. They were not to focus on exactly how long they had been out or had left of their mission. 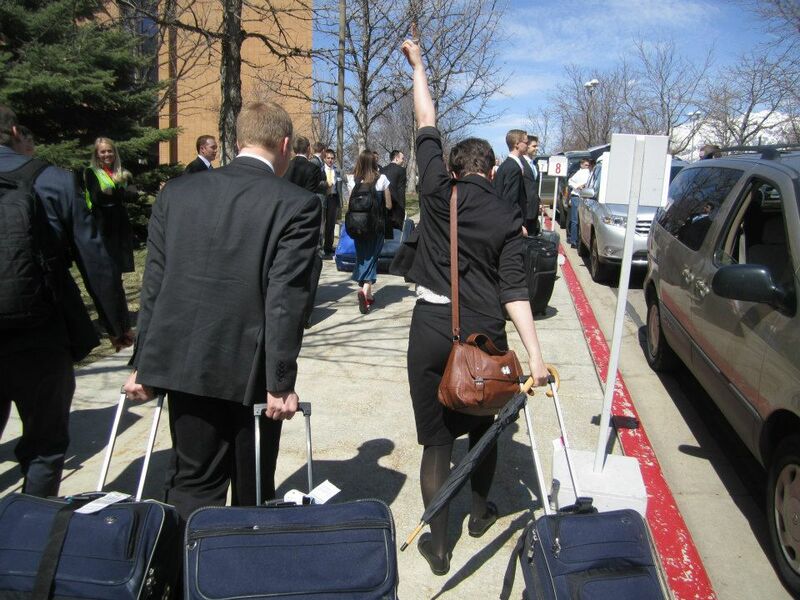 Most of the missionaries are pretty excited to be in the mission field and want to serve well to the very last day; sometimes the very last minute. We have had them late coming to the mission home in preparation for returning home because they were keeping one last appointment to teach a family or to attend a baptism. They love the work and don't want to be reminded that the time is winding down. Don't do things to lessen their focus by reminding them about how much time they have left. Communicate things to help them make the best use of every minute they spend in the mission field. They need to know you love and support them. Sometimes missionary work can be very difficult and there can be many disappointments. They need your encouragement, letting them know how you handle adversity or disappointments. Hopefully you showed them this before they left. You should help keep them motivated. They love talking about their investigators and new converts. Make note of the people they tell you about and show interest in their progress. Fast and pray for people they are teaching. Let them know you are fasting and praying for these people too, Okay? [Editor's note: we get names of special investigators and put them on our temple's prayer roll.] I worked in the office and loved to talk to parents. I never minded having a parent call if there was a valid concern. It is best if you have are concerned about an important issue, to call the office and let them answer your questions if possible and if not, to put you in touch with the President. I always welcomed a call from the parents, whether they had concerns because they hadn't heard from their missionary that week or what their missionary's address was or whatever. I know some missions are very large and the office is extremely busy and it is difficult to be taking a lot of unnecessary calls. Don't be afraid to call the mission office, though, if you have a real concern.As parents, you don't need to worry about your obedient missionaries while they are on their missions. They are truly in the Lord's hands and He is watching over them and blessing them. We saw miracles and tender mercies on a daily basis in our mission and knew the Lord was concerned about missionary work. It is extremely important to Him. He blesses missionaries. 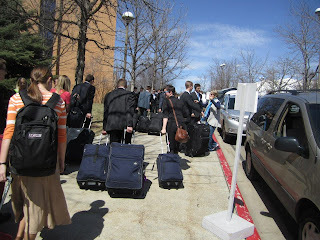 Here are some pictures from the airport in Salt Lake City with Polly, Dan and her roommate from BYUI, Kaelin, some with her fans, Lynn McCracken, Steve Muller and Abby Hayes then some at the Provo Temple and the finally drop off. We are so proud of Hermana Myers! I can only imagine the interaction between Hermana Myers and this sweet Elder trying to help her with her luggage. 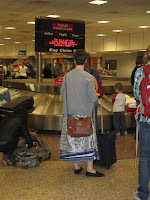 Now carefully watch the next three photos and the sign with the cement block base to Hermana Myers' right. She handled it with grace though. I was not there but I imagine her sister Polly may have been screaming something from the car window. MIS`SION`ARY-(noun) someone who leaves their family for a short time so that others may be with their families for Eternity. 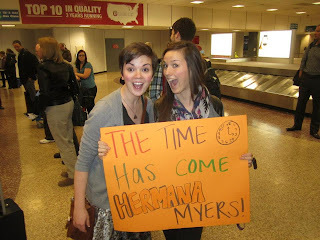 Go Get em Hermana Myers! We Love You! 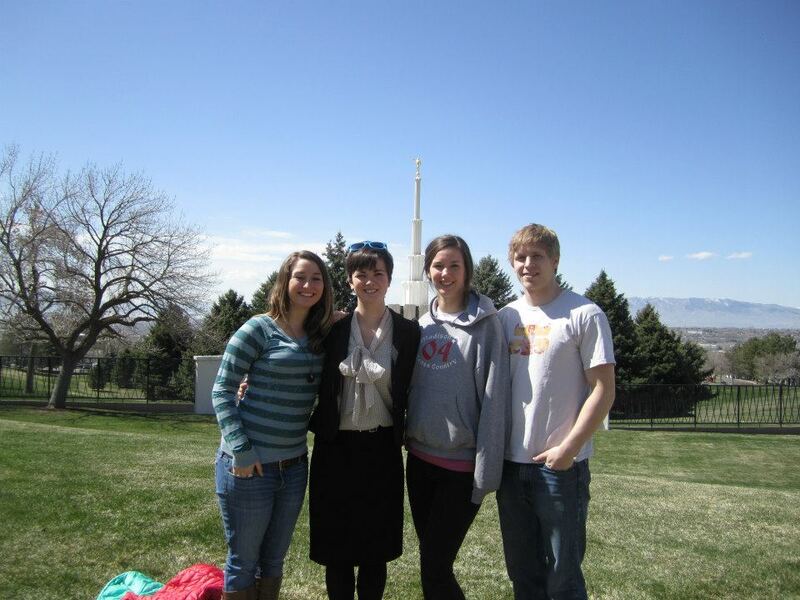 God be with you til we meet again Hermana Myers! With my days left in Iowa down to the single digits, I decided for the last blog post that I myself will be writing, I will be taking you through my last days a non-sister missionary and my studies, thoughts and findings. So I hope you enjoy and that you learn something or at least are mildly entertained. Day 1 (March 17, 2012. T-9 days until departure): Today I was reminded of one of my favorite scriptures (Mostly because my dad ordered my mission plaque that will go up in our branch building and they asked for a scripture) which is 2 Cor. 5:7 "For we walk by faith, not by sight." Short, sweet and to the point. Walk by faith, not by sight. Wow. I feel like people (definitely myself included) are too scared to take any kind of leap of faith if they don't see the immediate consequence. This is a little reminder that you have to have faith that if you pray for inspiration about an action or choice, you know that what you doing is the right thing, even if you can't see the consequence. I also learned that four hours of church, while makes me feel like a spiritual beast, makes me feel physically like death. But going to my dear friend Mary's farewell was totally worth it. You are going to enter the MTC and there will be people who have been there already for awhile. Since you're Spanish speaking, there will be Sisters and Elders that will know a little bit BUT when they enter the field after the MTC, they're back to not knowing anything. 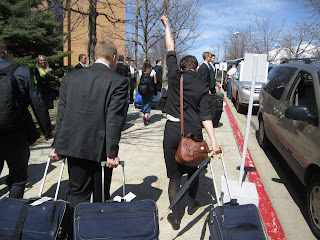 Some missionaries might look down upon you and think they know so much Spanish, and so much about teaching but really, you will all exit the MTC equally. YOu still have just as much authority as they do. When times get tough, and they will, you must-and this is essential to do-take two steps back. First step: Find out why you're stressed and decide if you have control over it in your life. There is no sense in worrying about something you cannot change. Second step: Imagine that the trial you are going through is plotted on a line, the line is eternity, and sincerely ask yourself, "Is this trial going to really ruin eternity? This trial is a test, and I want to come out of it in a way that impresses the Lord." Your mission will be the most fun two years ever. You're going to break rules on accident or have a lazy companion that needs encouragement from you. That might sound scary. "What? I'm going to break rules?" Yes, but never do it willingly. Also, the Onkens were nice enough to get me a nice book to read before I left for the MTC. It's What I Wish I'd Known Before My Mission by John Bytheway. I started reading it today and it is just chuck full of goodies. One of my favorites is when he's talking about using the time on your mission wisely and not to count time, but make time count. A saying he had on his mission was, "You have two years to do it, an eternity to think about it." I really like this one and I may even make a picture of it to hang in my room while I'm on my mission, write it in my scriptures and in my Preach My Gospel, and put it any other place I can think of where I will see it every day so it will always be in the back of my mind. If I have this mindset, I think I will work the hardest I have ever worked in my life and never do anything that I would think was wasteful in future years, and I need that kind of motivation. I don't want to be ashamed of my actions. I've been there, done that, and it was not pleasant. Never again. So even though I didn't do any scripture or Preach My Gospel study, I'd still say this was a pretty productive day. Day 3 (March 19, 2012. T-7 days until departure): Today was definitely a day of highs and lows. High included working with Mallory Shumate. Low included it being the last time I would work with Mallory. Ever. But that's not the point. I was having a delightful conversation with dear Mallory during work and during this talk was when I realized that I really am ready for this mission. I definitely couldn't been more prepared scripturally and physically, but I am definitely mentally and emotionally ready for this long journey ahead of me. I can't believe it's a week away. And that I'll never work with Mallory again. Sad day. 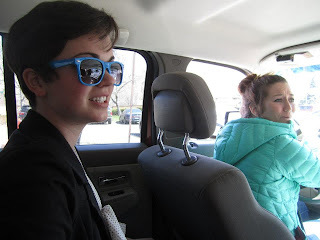 Day 4 (March 20, 2012. 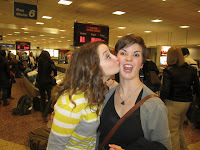 T-6 days until departure): Today was rather uneventful as far as epiphanies goes, but it was a good day, none the less. While at work I was reading more of What I Wish I'd Know Before My Mission (I love that book, by the way, and recommend it to anyone considering a mission, or anyone in general. Lots o' goodies in that book) and with all the scriptural references and truths in that book, I can really feel the Spirit when I read it. I could hear the movie in the background (Identity Thief, which is rated R for what I can imagine is profanity only) and I was doing really well at tuning it out while I read. But then came one of the lines where the F-Bomb was practically shouted. That was a little harder to tune out. What surprised me was just how quickly the Spirit was gone. I didn't even stop reading, but as soon as that word was sounded, the Spirit left. It took me by surprise, a little, to be totally honest. I then scooted to a place where I couldn't hear the movie as well and continued my reading. Day 5 (March 21, 2012. 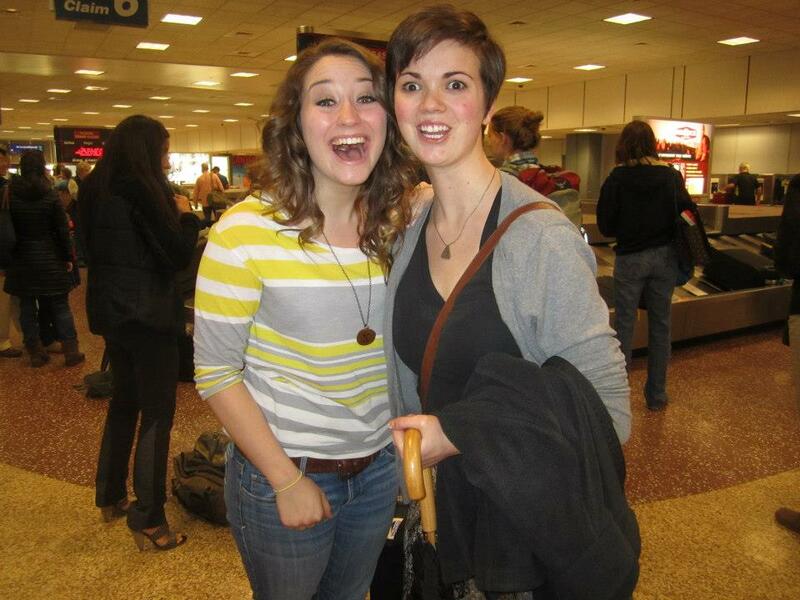 T-5 days until departure): Today was just awesome. It didn't start out very well. I was dreading working my last day at the Operahouse because seriously, who wouldn't? I was a little glum all day but I didn't want to be a Debbie Downer so instead of doing my usual thing of skulking around and thinking, "Oh no, this is the last time I'll be opening up at the Operahouse, this is the last time I'll be making popcorn, this is the last time I'll go to start the movie, etc." I just acted like it was a usual day. Breanne and I had a great time working tonight! We shared some laughs and enjoyed a great conversation with each other. Then came time to close and I pulled the well-it's-my-last-night-so-can-I-shopvac card (shopvaccing is my favorite, by the way) and Breanne being the sweetheart that she is let me. Then, about halfway through my happy shopvaccing, Breanne came in requiring my "help in the bathroom." I walk out in the lobby to find the entire Operahouse gang standing in a line, awaiting my arrival. I cried. We then shared cake, took some goofy pictures, and watched movies on the big screen whilst laying on the stage. Best. Sleepover. EVER!!! Seriously, you wanna have a good movie night? Do it in a movie theatre that has a stage in front of it and lay on the stage. It's mind blowing. Needless to say I very much love the girls that I have worked with these last few years and will miss them dearly. And Bim too. Day 6 (March 22, 2012. T-4 days until departure): Today I pretty much just slept off last night. And finished packing. I'm under the max weight, by the way. Day 7 (March 23, 2012. T-3 days until departure): Today I talked to a friend of mine from back in middle school and he was asking me about why I would go on a mission and what my purpose was as a missionary. He had the usual opinion of missionaries where having them knock on your door is obnoxious so I had to be very careful about how I answered his questions so I didn't create more negative feelings for him. It was a very humbling and extremely intimidating experience. I also went to Mallory's baby shower. I very much want the Batman towel I made for her baby. Day 8 (March 24, 2012. 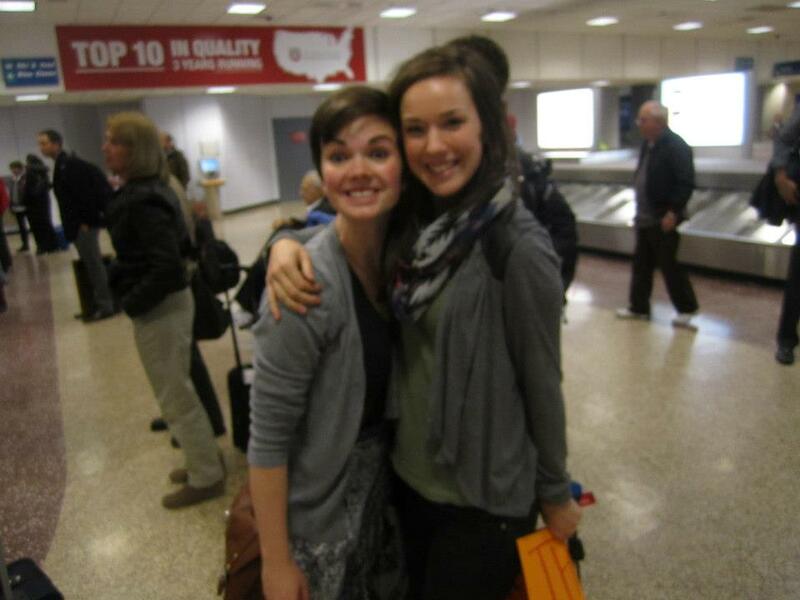 T-2 days until departure): Today I had my farewell. It's in a separate post. Read and enjoy. 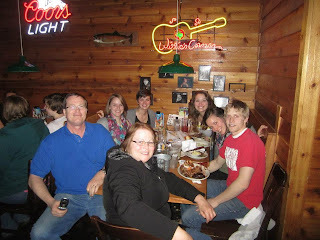 Day 9 (March 25, 2012. T-1 days until departure [Also referred to as the day I was set apart]): Right now I just can't wrap my brain around the fact that this is actually happening. Yeeeeessss!!! Day10 (March 26, 2012. T-0 days until departure [Also referred to as the day I aced this place]): I'm writing this before I get set apart so no rules were broken, but I would imagine future me would write something along the lines of, "I'm out, suckas! See you on the other side! And don't forget to write. Good morning all. Today, I am like a cow in tall grass: I am utterly tickled to be speaking to you. Before I get into my talk, I'd like to tell you why I decided to go on a mission. Like it was said, I was called to serve in the California Riverside mission and actually, because of the new missions that just got announced, there's a small chance I could switch missions in July, which be super cool! 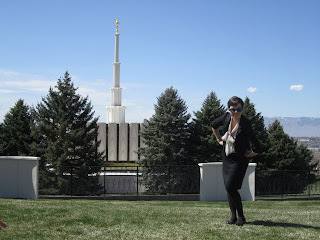 I had been thinking about serving a mission since my senior year. That was when I really started to be active in the church. I had gone to church my whole life, but my senior year was when I started going because I wanted to, not because my parents made me. I decided I wanted to do Called to Serve that summer and was looking in to the program and everything. Unfortunately, I found out I would be out of town that weekend, but the idea was still in the back of my mind until I left for BYU-Idaho. Right before I left, in stake conference President Cropper, and I don't remember what he said exactly, I just remember him talking about missions. I started to think about it a little more but pushed it to the back of my mind because, hey, I was only 18. Who knows what would happen in the next three years? Especially at BYU-I. I could've been married and had three kids by then. But, obviously, I didn't. 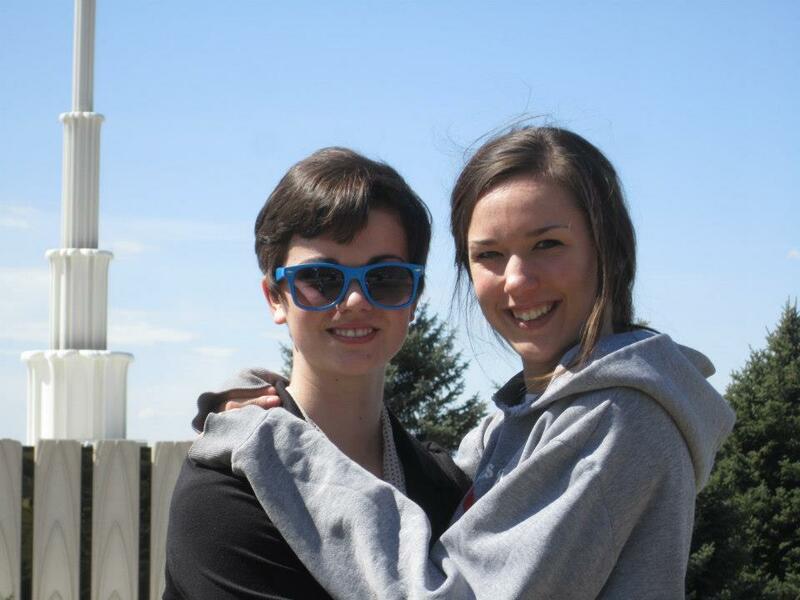 When I got to BYU-I, one of my friends and one of my roommates were some of those girls that was determined to go on a mission. 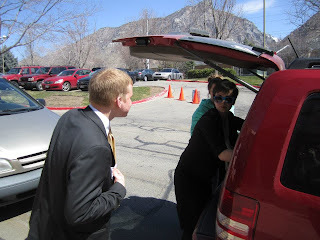 They weren't going to date until they served a mission because that's how badly they wanted to go. It made me think about it a little more, but again, back of my mind it went and it stayed there for awhile. 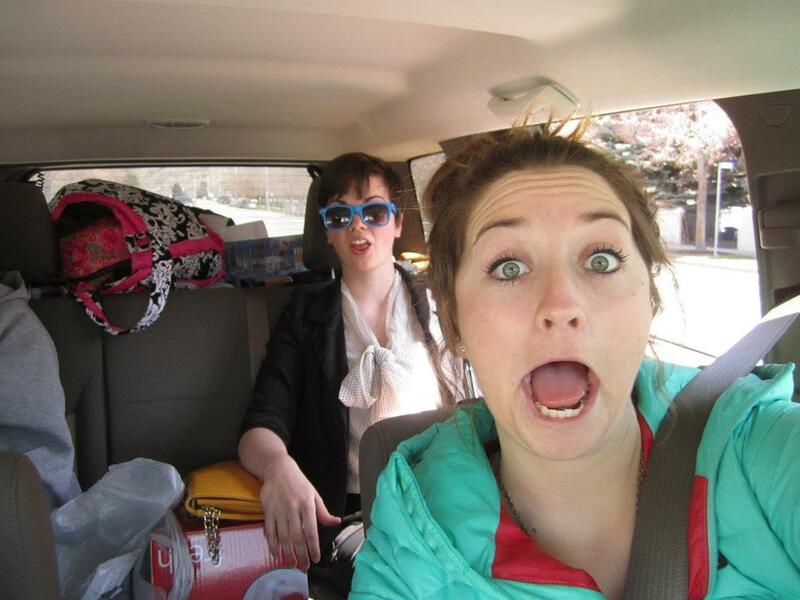 Now, by the way, my old roommate is engaged and my friend is starting her papers after the end of the next semester. Today I will be speaking to you on learning by faith and letting the Holy Ghost teach you. I'll be quoting a CES Broadcast given by David A. Bednar in 2006 entitled “Seek Learning By Faith”, using my own personal experiences along with those of my friends and complimenting them with several scriptures. In D&C 88:118 which says, “Seek learning, even by study and also by faith”. This reminds me of my education class I took in the spring. In this class we had two philosophies in which we should focus our thinking when it came to teaching, one of which was act and not be acted upon. This means to not be the kind of teacher (or learner) that sits there and is spoon fed information to be forgotten the next day. To be an active learner, we must seek knowledge, not wait for it to be given to us. All things come to him who waits, but they come sooner if he goes out to see what's wrong. Another one of my favorites is John 14:26 which says,”But the Comforter, which is they Holy Ghost, whom the Father will send in my name, he shall teach you all things, and bring all things to your remembrance, whatsoever I have said unto you.” This one strikes me because it mentions that the Holy Ghost “shall teach you all things” and “bring all things to your remembrance, whatsoever I have said unto you.” Who wouldn't want to know all things? We're taught to learn wisdom in our youth and that whatever knowledge we gain here will be taken with us after we die, so why not try to learn as much as possible? And how do we learn that? The Holy Ghost. And how do we know it's true? The Holy Ghost. While at school, I had one class that I would have homework on a regular basis and I decided to do a little experiment with it. It would be two weeks: the first week I would pray then I would do my Book of Mormon reading before I started my studies, the second, I would just start right away with my homework for the class. By the end of the first week, I felt like I learned so much more than I did at the end of the second week. I remembered stuff from the second week, but what I learned in the first week stayed in my mind a lot longer. After this, praying and a little Book of Mormon reading before homework became a regular study habit. By saying a prayer and reading the scriptures, I was inviting the Spirit to be with me and opening my heart to it's teachings. What I was learning was confirmed as truth to me while I studied. Now, I already knew most of what I was learning, the class was a beginning science class, but having the Holy Ghost confirm to me that what I was learning was true just made me want to learn more. I really developed a love for learning that semester from forming my new study habit of having the Holy Ghost as a study buddy. The last point I'd like to make involves learning a different language, which I have the blessing and opportunity to do. In Preach My Gospel, there is a chapter on learning the language and one of the first points that is made to help you learn the language is to live worthy of the companionship of the Holy Ghost. When I read that, it blew my mind a little bit. Learning a language is that easy? I just have to have the Holy Ghost? Alright. I got this. Well, humility is a big thing too. I can work on that. I like that this is mentioned in the chapter though. Not only does it give me comfort that there actually is a way for me to learn another language, but if the Holy Ghost can teach me, Chloe Myers, a foreign language, there is no limit to what the Holy Ghost can teach me. I've always heard the best way to learn a language is to read the Book of Mormon and why is that? Because when you read the Book of Mormon, you have the Holy Ghost with you. Funny how this all ties together. I like to leave you with my testimony. I know this church is true. I know that Joseph Smith was and Thomas S. Monson is a prophet of God. I know that I was called of God to serve the good people of Riverside California. I know that the Book of Mormon is true and that you can never read it enough times. You will learn something new every time. I have a firm testimony that if you learn through the Holy Ghost, you be able to learn things you would never imagine you could wrap your brain around. I love every single one of you and I am overwhelmed by your love and support at this very important time in my life. You have all been great examples to me and I greatly appreciate everything you all have done for me. I say these things in the name of Jesus Christ, Amen.